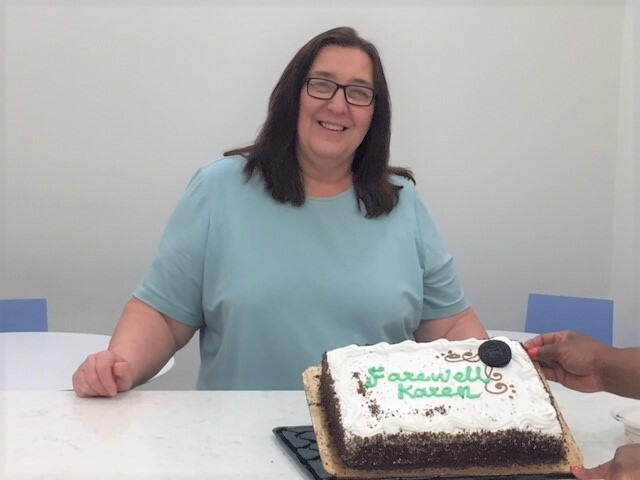 WHITE PLAINS—The Hudson Gateway Association of Realtors extends well wishes to Karen Maloney, Membership Coordinator at its White Plains office, who has retired after spending 15 years with the association. Maloney worked with HGAR in White Plains for the past seven years, and with the former Putnam County Association of Realtors in Brewster for eight years. Earlier in her career, Maloney was a paralegal for the Manhattan District Attorney’s office from 1978 to 1991. She also raised three children—triplets—who are now 26. Originally from Brooklyn, Maloney and her husband live in Mahopac. Maria Thomas, HGAR’s White Plains receptionist, has been promoted and will be taking over Maloney’s position.